ONE OF THE BEST DECISIONS WE EVER MADE! THE KNOWLEDGE, CONNECTIONS, AND TRAINING HELPED MYLES GREEN-RICHARDS GET RECRUITED! YOU REALLY DON’T KNOW HOW GOOD YOU ARE UNTIL YOU GO UP AGAINST OTHER HIGH LEVEL TALENT! 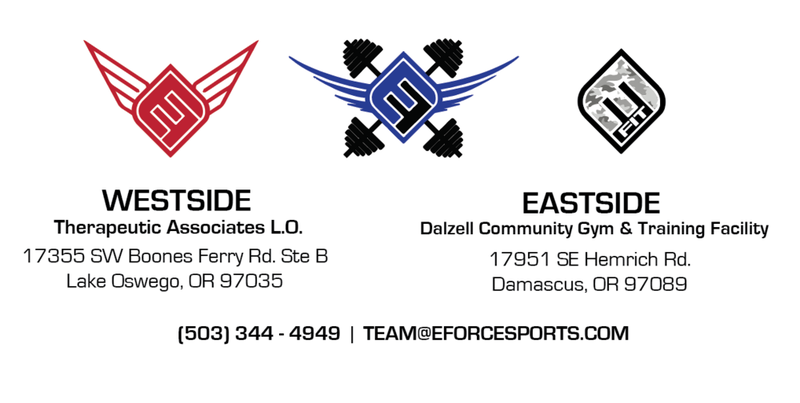 EFORCE COACHES ARE VERY HONEST! IT IS WORTH TRYING OUT FOR.